Specialized Oxide Production From the Oxide Equipment Experts! 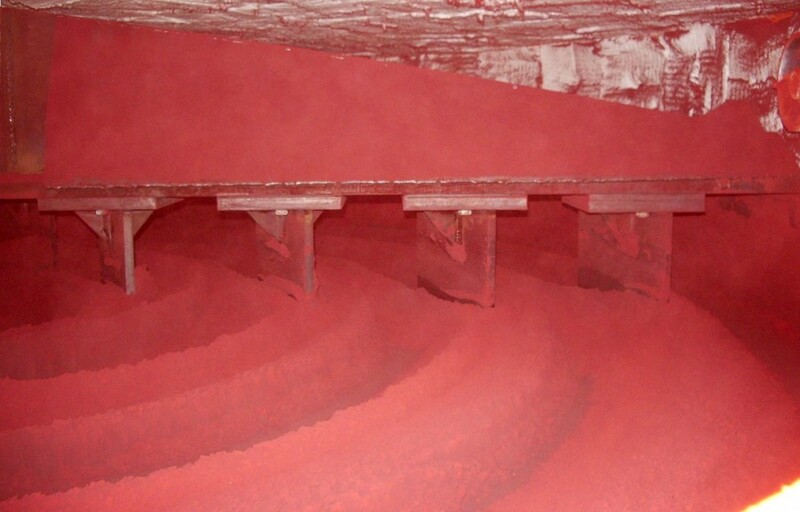 Eagle’s Red Lead Furnace was developed at a leading independent lead oxide manufacturer in the United States. 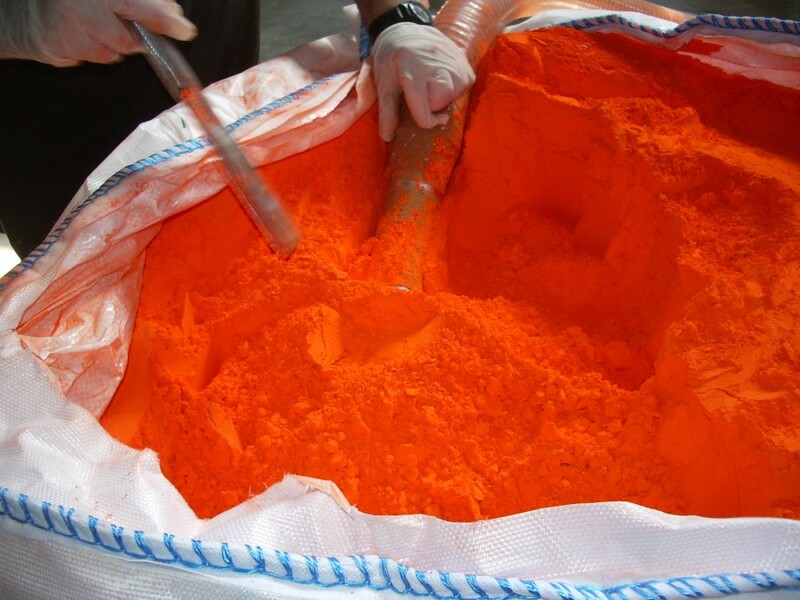 It is designed to produce a wide range of Red Lead using leady oxide feed material for use in batteries, leaded glass, ceramics, and specialty chemicals. Rates are dependent on materials used and manufacturing conditions. Rates noted are from using leady oxide feed material with 15% free lead. Why Use Red Lead in Batteries? 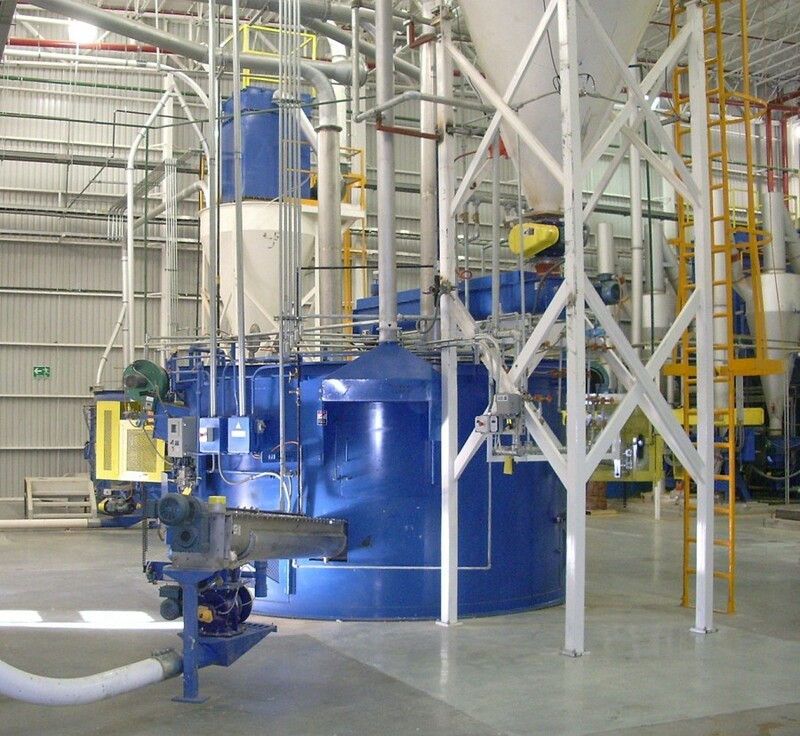 The furnace uses electric heat and an oxygen rich atmosphere to convert Lead Oxide (PbO) to compounds that contain 20% to 98% Red Lead (Pb3O4) with the remaining material being either tetragonal or orthorhombic PbO. Red Lead is formed by heating PbO to a temperature of 4500 to 5000 C, then holding within this range until the desired percentage of Red Lead is formed. The conversion is a simple controlled reaction of “time-and-temperature”. The furnace is a refractory lined batch oven. 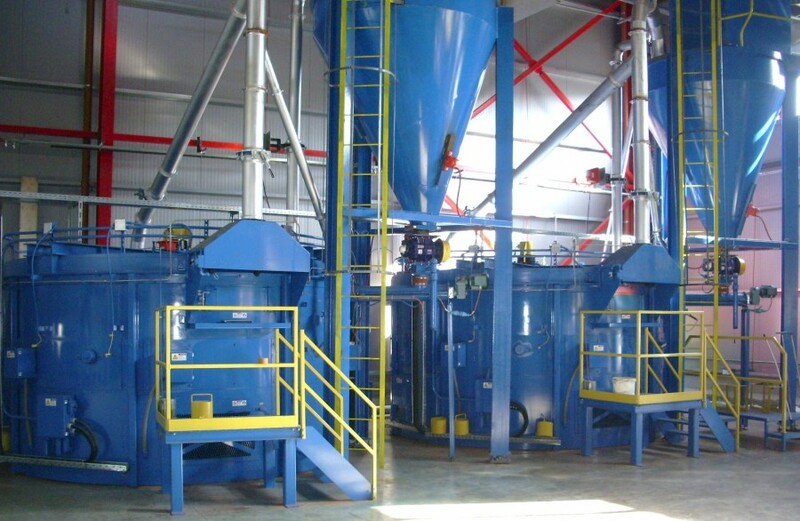 Using four large rotating agitator arms, the feed material is constantly mixed to ensure consistency in the percentage of Red Lead throughout the batch. Batch temperature is controlled by electric heating elements located below the reaction chamber and isolated from the batch. The oxygen content of the air inside the furnace is monitored with oxygen automatically added to maintain the desired level for a proper reaction. Eagle’s superior control system easily allows operators to monitor all aspects of furnace operations along with feed and discharge systems throughout the entire batch process. And with Eagle’s knowledge of lead oxides, it makes us the logical choice to assist customers in selecting the best equipment for the battery type to be produced.